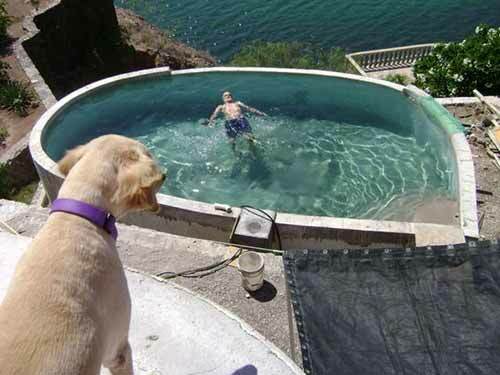 If you’re planning on building your own pool, you should probably get started soon! Here are 10 DIY designs that you can make on your own while saving a ton of cash. 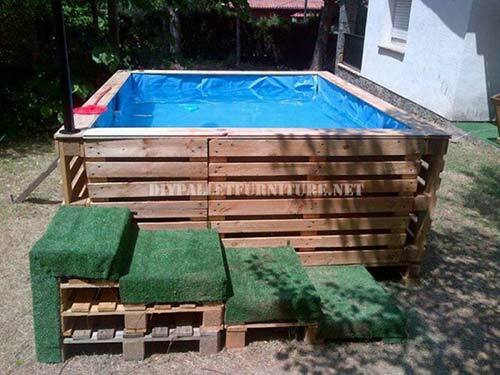 You can construct pretty much anything with pallets, pool included. 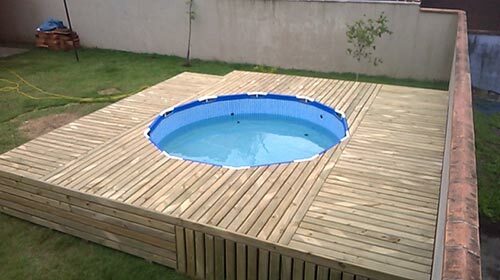 This DIY pool uses heat treated deconstructed wood pallets to form the deck and has a round middle. Learn how to make it here. 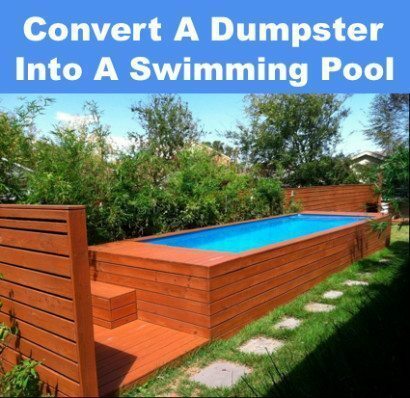 This brilliant design uses a dumpster to create the perfect large-sized backyard pool. Get the tutorial here. 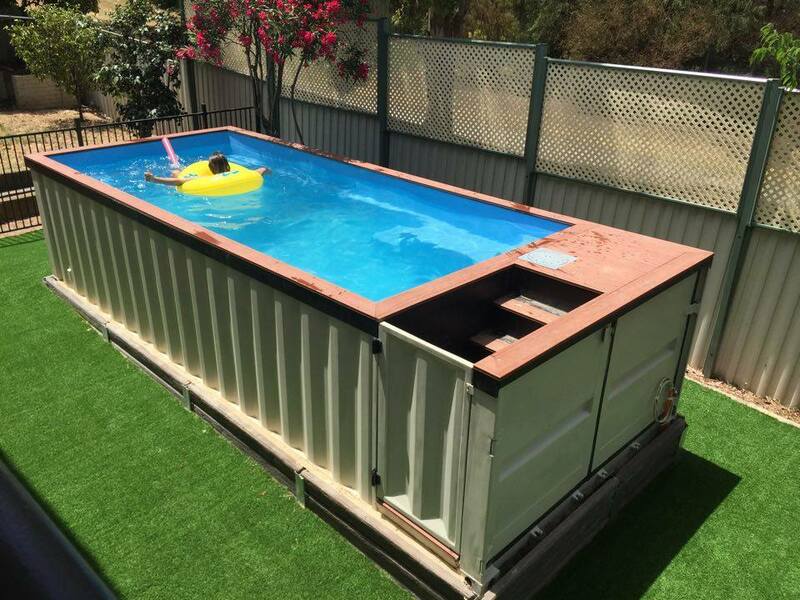 This design uses full pallets and a plastic layer to create a beautiful above ground pool. Learn how it’s done here. This is another innovative way to have a professional look without paying the professional price. Make sure you take measures to prevent rust. The tutorial can be found here. 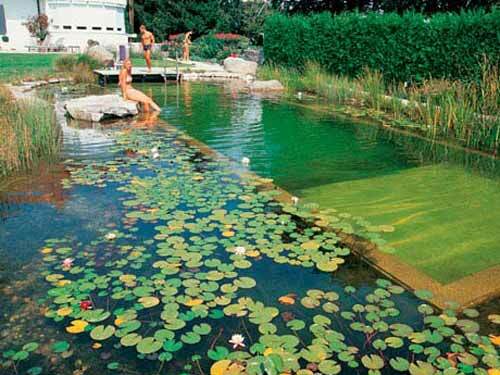 For a less industrial look, you can use gravel stone, clay and aquatic plants instead of concrete and chemicals to create your pool. You can learn how to make it here. 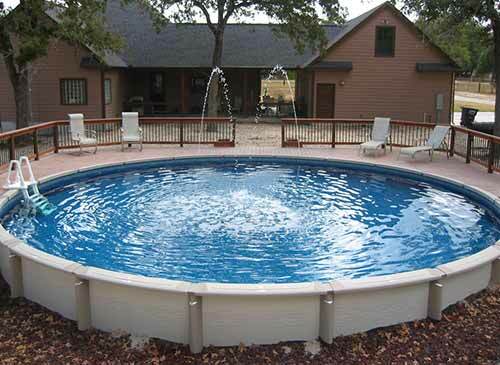 This galvanized tank is a better alternative to a plastic pool when you and your family want to take a little dip. Get the tutorial here. 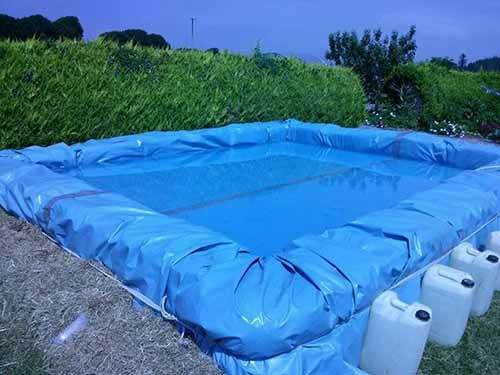 This wooden and plastic tarp pool is easy enough for just about anyone to make. The directions can be found here. While the professionals will charge you upwards of $30,000, you can make your own professional looking pool for about $7,000 and a lot of work. Find out how it’s done here. You can turn an above ground pool into an in-ground pool by following the tutorial here. Need to escape a heat wave? 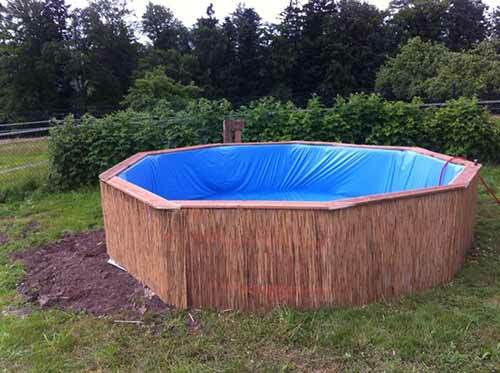 Throw some plastic over hay bales and properly secure it to create a pool. Learn how to make it here. Previous story Whose Your Favorite Cat ?